Casey Walsh is an associate professor of anthropology at the University of California, Santa Barbara. His research focuses in part on ways water, land, and labor have been organized to produce commodities in arid areas. He wrote a socioeconomic and cultural history, Building the Borderlands, of irrigated cotton agriculture in northeastern Mexico. He has also been increasingly involved in the politics of groundwater management in California, which will be the subject of a second interview. This interview takes a deeper look at his newest book on the cultural, political, and economic dimensions of how mineral springs in Mexico have been used and managed, both in the past and present, and how some of those themes might apply in California. You have a new book, Virtuous Waters, coming out early next year. Can you tell us a little about the book? 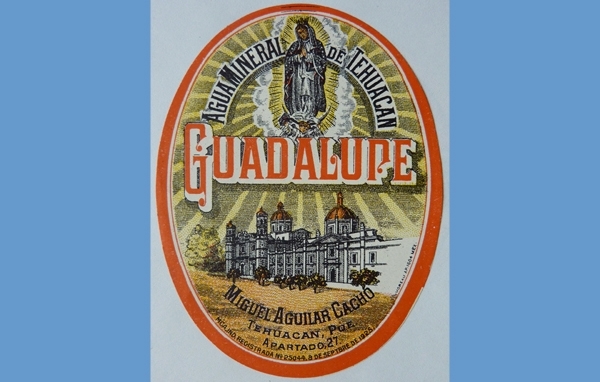 Virtuous Waters has to do with drinking, bathing, and thinking about water during the last five hundred years in Mexico. The book makes the argument that the most important aspects of water use are the ones that are the most common for the most people – bathing and drinking. The scientific and historical literature on water is dominated by discussions of agricultural irrigation systems, big dams and canals, and expanding urban infrastructures. But relatively speaking, very few people in the world operate these infrastructures or irrigate with their waters. In contrast, everyone drinks water and bathes with some frequency, but we really don't spend much time studying these every day, intimate contacts with water. It might be that if we want to reshape our human relationship to water, we should start with these most quotidian interactions. Focusing scholarly attention on massive public works and public policy hasn't solved the big problems of quantity and quality so far. The research for the book got me to realize that our relationship to the liquid today is very different from that which existed during most of history, and it is much less sustainable and more destructive now. 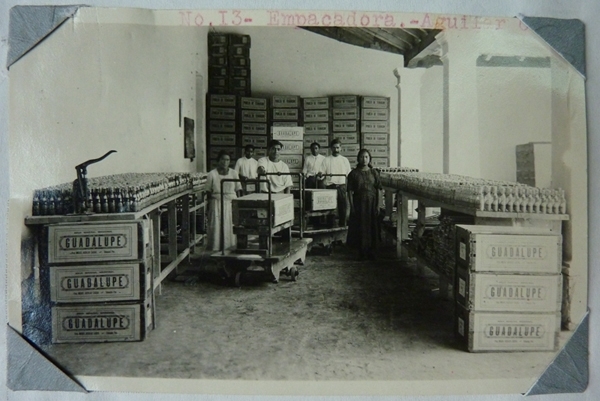 A water bottling room in Tehuacan, Mexico in the 1920’s. Photo by Casey Walsh. Hearing you talk about the book, I was particularly intrigued by the idea of "heterogeneous" or plural, waters. You spoke about both trying to "assimilate" water into a drop for drop exchangeable unit, while also commodifying "uniqueness" of water in terms of say the cost of bottled water from a specific place. Can you say a little more about that? For most of human history, people recognized the specificity of each water source, each river and spring. One scholar likens this understanding of water to the way we think of wine: it is all one thing, but no two kinds are the same. And each unique water was considered to have unique properties, many of them curative. Some waters helped with stomach problems, others with skin problems. Even today we retain a bit of that – spas around the world still boast of the powers of their hot and mineral waters to cure specific maladies. Much of that specificity was lost as expanding infrastructures blended and mixed different sources, and modern public health standards accentuated this homogeneity. But one lesson we learn from this history is that there is something appealing to people about waters with character, with content, with a location. Calistoga water, Vichy water, Evian water: all these are waters that have a particular composition because of where they are from. So at the same time that public water strives for uniformity, people are attracted to specific, different waters. This can lead to mischief, of course, because people can sell water that seems to be from a spring but is not. Returning to the idea that waters are like wines, people usually prefer wines with unique labels and the appearance of coming from a specific location, even if many of those different labels contain wine that is made from the same grapes. 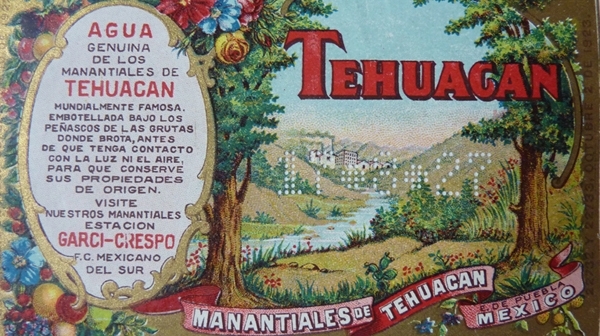 A 1920’s label from water bottled in Tehuacan, Mexico, famous for its mineral waters. Photo by Casey Walsh. What are some of the implications of the concept of heterogeneous waters, particularly in California? Public water service providers should remember that people like the specificity of heterogeneous waters, and that mass, uniform water from the tap is not what many people would choose to drink. This is important especially in developing countries such as Mexico where people spend huge amounts of money on bottled water, but public water services are at the same time underfunded. This leads to a vicious circle of underfunded and thus poor water service and ongoing distrust in public water services, which contributes to underfunding. Homogeneous public water was once considered much safer and purer than the waters from rivers, wells, and cisterns. Now the opposite is true: public water is not seen as great for drinking by many people these days. Of course in many developing countries, the public water has stuff that can make you sick, a kind of heterogeneity that no one likes. California water also suffers from contaminants, especially arsenic and nitrates. But in general public water is actually pretty safe, and much, much cheaper than bottled water. People like heterogeneous waters, but they like them when they uniformly comply with health standards and come in a uniform package – the plastic bottle. So the distrust of public water leads to extreme inefficiency in delivering drinking water. In addition to inefficiency there is the issue of sustainability: disposable PET plastic water bottles are a terrible thing for the environment. As we work to make our public water safe to drink, we shouldn't forget that people also want their drinking waters to be distinctive. If we could promote the “terroir” of tap water at the same time we ensured its purity, we could save a lot of money and keep a whole lot of plastic out of the environment.